Looking for a Mobile Auto Glass Repair Las Vegas? Look no more, because you have found California Auto Glass Inc! We offer mobile auto glass repair 7 days a week including Sundays. Our auto glass specialists are on standby ready to come to your location as soon as you call. With our affordable pricing, you don’t need to struggle to pay for our services. You might be stranded with a broken windshield or auto glass. Make sure if you just got a cracked windshield, that you pull all the way to the right lane away from the traffic flow. Put your emergency light signals on and contact us immediately. If its possible, drive in to the nearest parking lot in a safe area. Simply let us know what make, model and year your vehicle is and will be on our way. We will let you know over the phone the costs for our mobile auto glass repair service. With a simple call we can be on our way. We have over 20,000 auto glass parts, so it is very likely that we won’t have you waiting that much. Get your mobile auto glass repair Las Vegas today! We are open 7 days a week with cheap windshield replacement Las Vegas. With a simple call, to the rescue! Ask about our promotions, discounts and financing opportunities. Setup your appointment today and follow us on Facebook. 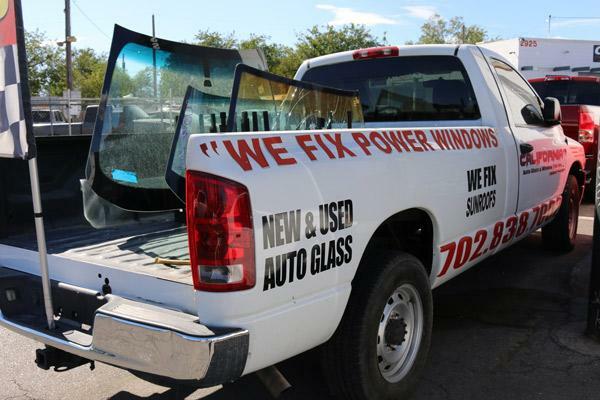 Your Auto Glass Repair experts and specialization in Power Window Repairs in Las Vegas!